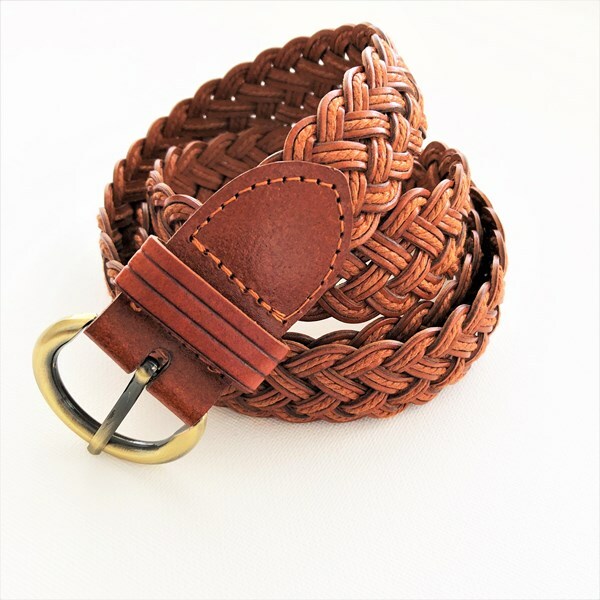 stylish plaited vegan leather belt! Sure to pair with any boho inspired look! Gold Plated Metal, Vegan Leather.